As day two of the Frankfurt Motor Show kicks off, join us for a moment of reflection as we look back over the highlights, lowlights, and biggest discussion points from the show floor. 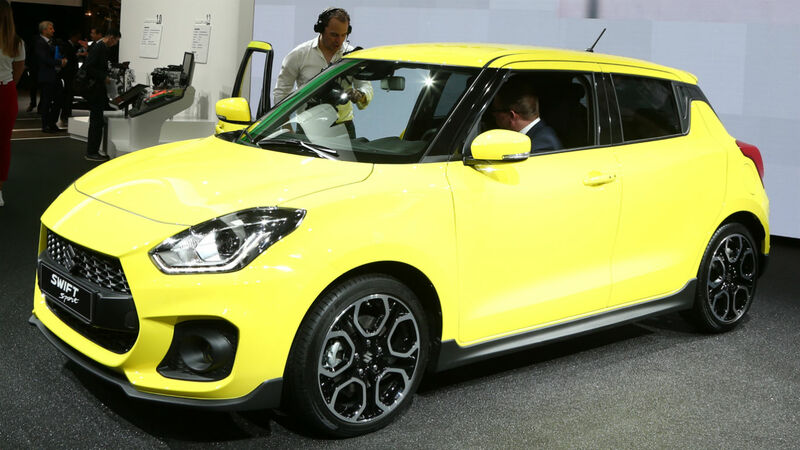 Is the Suzuki Swift Sport the car we want more than any other from Frankfurt? 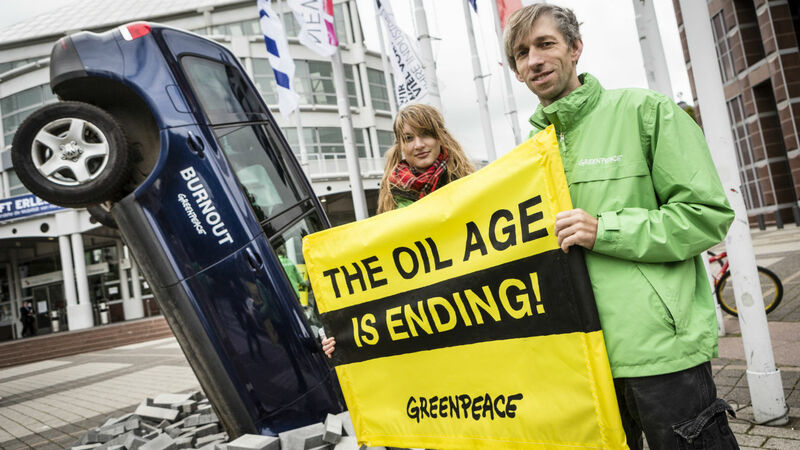 And was Greenpeace justified in protesting against all the petrol and diesel models being revealed? Join the discussion by commenting below. Watch out Fiat 500: Honda has revealed a retro remake of its original Civic and it really isn’t as sh*te as that sounds. The Urban EV Concept is an electric concept car that looks like a 2017 take on the Mk1 Civic, crossed with a 205 GTI and an element of Mk1 Golf thrown in for good measure. 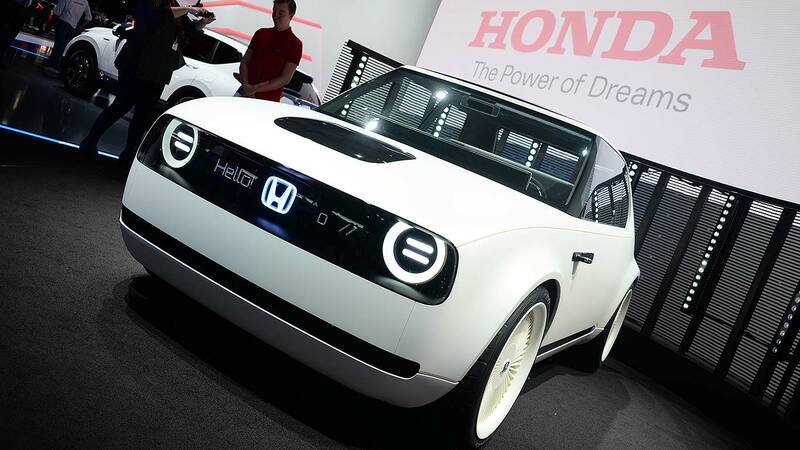 And, what’s more exciting, Honda bosses have hinted that it previews an actual new car, due out in 2019. There are some cool features, such as a blue backlit Honda badge and interactive messages displayed where you’d find the grille on a conventional car. Of course, we’d like to know more about the important bits, though. Honda hasn’t mentioned the range or any performance figures, and there’s plenty of time to mess it up before the production model arrives in two years’ time. But, for many people, this is looking like the star of Frankfurt. We reckon Audi Sport boss Stephan Winkelmann is a fan of skids. Not only did he change the sub-brand’s name from ‘Quattro’ soon after he arrived last year, it has subsequently revealed a rear-drive R8 at Frankfurt. 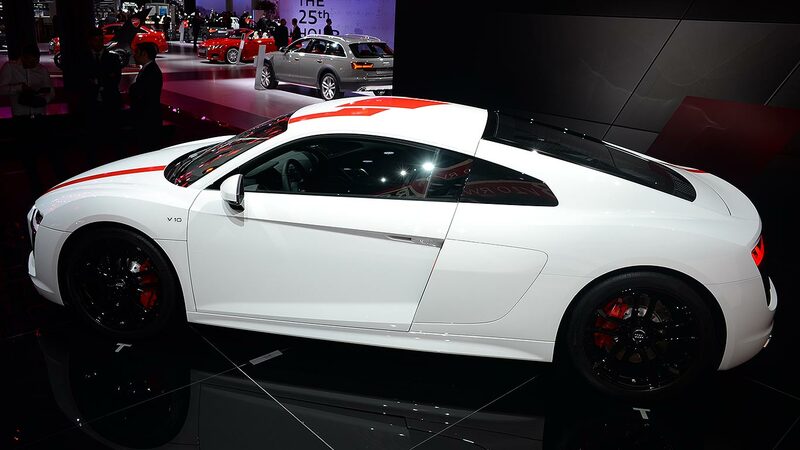 The R8 V10 RWS (Rear Wheel Series) is based on the regular R8 V10 in coupe or Spyder form. Only 999 will be built, with deliveries starting later this year and price tags of €140,000 and €153,000 respectively. UK prices are yet to be confirmed, but it’s expected a handful will make it across the channel. While removing the propshaft and centre diff has been beneficial for the R8’s weight (down 50kg in the coupe and 40kg in the Spyder), a loss of traction has added a few tenths of a second to its 0-62mph times (3.7 seconds and 3.8 seconds). Not that anyone seems bothered: talk on the show floor suggests this is one of the highlights of Frankfurt. Why is Greenpeace protesting when even the supercars are hybrids? Of course, they seem to have overlooked the plethora of electrified models making their debut at Frankfurt. Or maybe Greenpeace just doesn’t enjoy skids as much as Mr Winkelmann. It’s been revised again for Frankfurt 2017 and, well, look at it. It’s never been an attractive car but, on appearance alone, we’d suggest it’s still a long way off troubling the Nissan Juke for UK sales. “Wait until you have driven it,” a Ford spokesperson optimistically told us. We can’t wait. Suzuki’s Swift Sport has always been one of the purest hot hatches on sale. We say ‘hot’… in fact, ‘warm’ would be more appropriate, as outright power and performance have never been what the Swift Sport’s about. 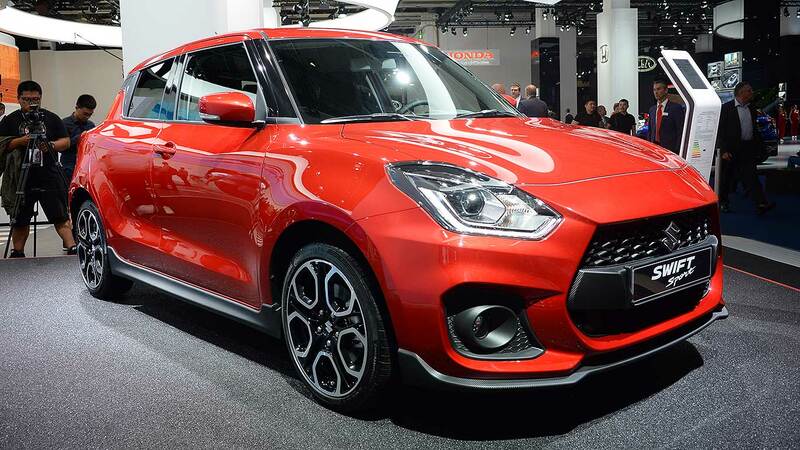 It would have been all too easy for Suzuki to go chasing after the Fiesta ST with a moderate power increase for the new Swift Sport, but it appears to have resisted. While its high-revving naturally-aspirated 1.6-litre engine has been replaced by a 1.4-litre turbo (boo! ), power has been increased to 138hp – up by just 2hp over its predecessor (136hp). It’s slightly bigger than its predecessor, unfortunately, but not massively so – and it’s actually 80kg lighter than before, bringing it below a tonne. Nope, Land Rover hasn’t revealed a new Defender at Frankfurt. But, in a bid to prevent its stand looking like the double yellows outside a Kensington school at 3.15pm, the firm’s Special Vehicle Operations division has been working on something special. 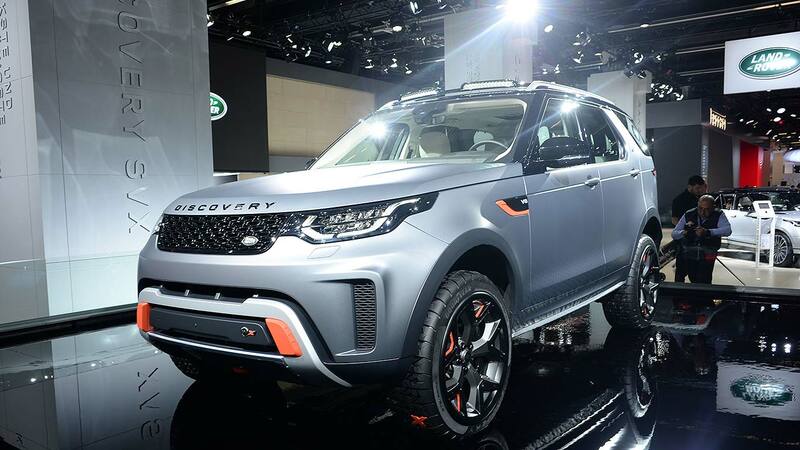 It’s the Land Rover Discovery SVX, with increased ride height, all-terrain tyres and two electronic locking differentials to make it invincible off-road. Things are also a bit special under the bonnet. JLR’s squeezed its 5.0-litre supercharged V8 engine into the Discovery’s engine bay, producing a whopping 525hp and 461lb ft of torque. Performance figures haven’t been discussed, but it does seem to conflict with the off-road focussed rubber fitted to the forged aluminium alloy wheels. Production of the Discovery SVX will start at the SVO’s technical centre in Coventry early in 2018. If you want to get your hands on one, rumours suggest you may need close to £100,000. To many, last year’s Porsche 911 R was the ultimate 911. Based on the GT3, with the engine from the GT3 RS and no unsightly rear wing, all 991 911 Rs soon sold out despite their £137,000 price tag – with some specialist dealers suggesting that buyers were happy to pay close to £1 million to get their hands on an example. Anyone who has paid a fortune for a 911 R might be a tad annoyed, however, as Porsche has just revealed the very similar 911 GT3 with Touring Package (let’s call it the GT3 Touring). 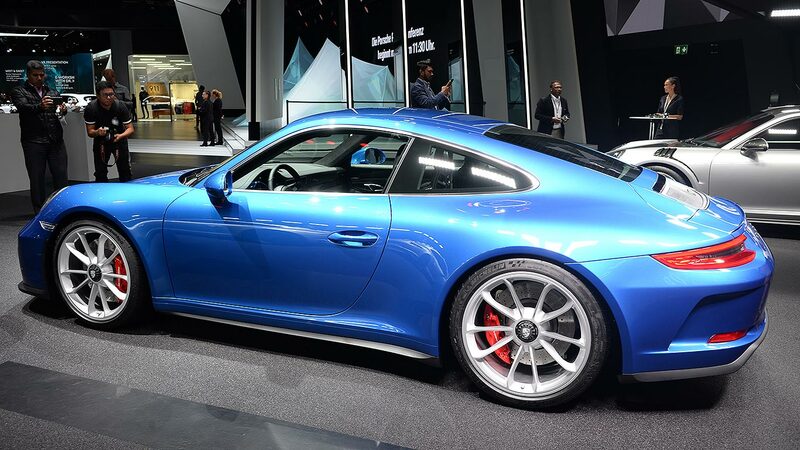 It has the same 4.0-litre naturally-aspirated engine as the GT3, but gone are garish styling features – including the rear wing. And, the best thing about it is the price: it’ll set you back £111,802. That’s the same as a standard GT3. 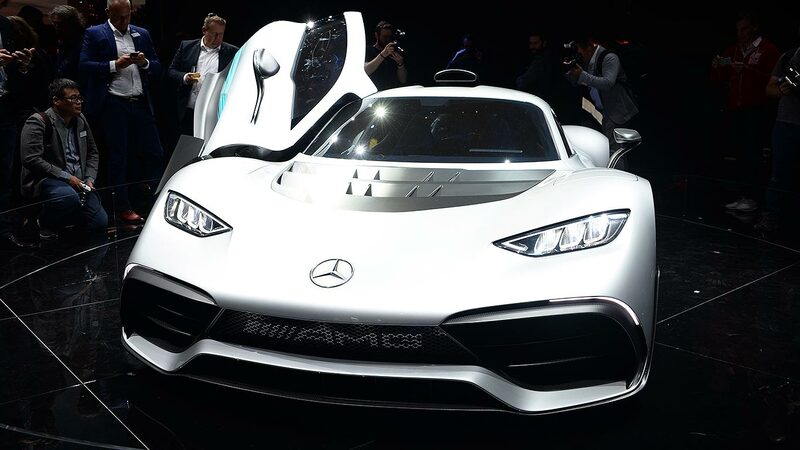 This is the Mercedes-AMG Project One. 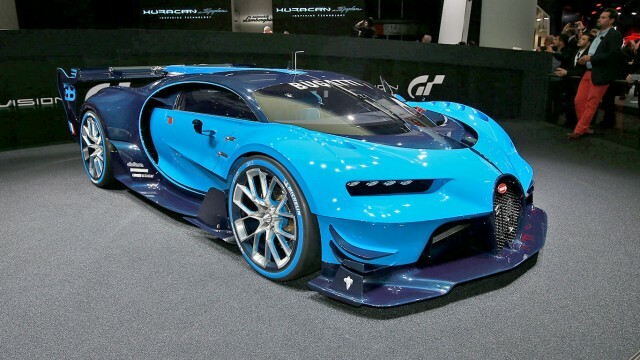 It’s powered by the same turbocharged 1.6-litre V6 engine as the manufacturer’s F1 car, able to rev to 11,000rpm and, combined with no fewer than four electric motors, exceed 1,000hp. As a result it’ll hit 124mph in less than 6.0 seconds – faster than a Bugatti Chiron. It all sounds very exciting, doesn’t it? But, well, look at it. It’s just not as dramatic as you’d hope for a Bugatti Chiron-beating hypercar. It looks a bit like the Saleen S7 off the 90s, with a dose of McLaren F1 thrown in. And that’s being kind. Yawn. Is the BMW X7 the ghastliest car of Frankfurt? 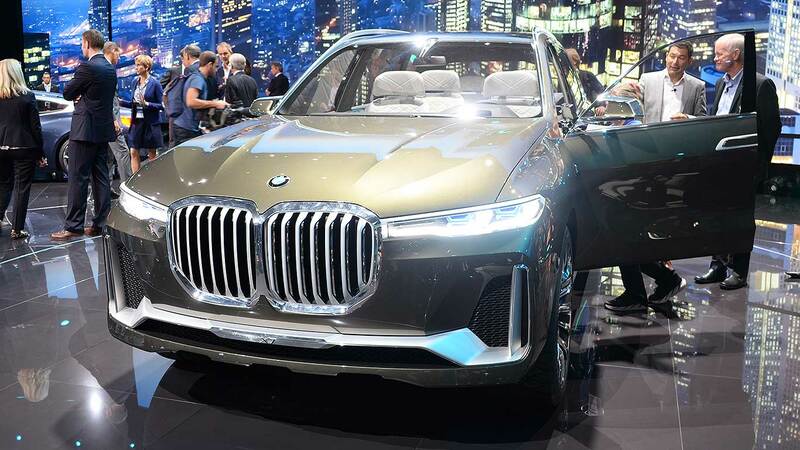 It’d be easy to mistake the BMW X7 for one of the modified monstrosities that usually fill the tuner halls at motor shows. Sharing a platform with the 7 Series, the Range Rover rival has an unmissable kidney grille and masses of chrome. It really is quite something. Oh, and it’s massive. We can see two positives about the BMW X7. Firstly, you can’t see the exterior when you’re inside it, and the interior is actually rather lovely. There’s lots of space, obviously, along with crystal glass switches and numerous touchscreen monitors. The second bit of good news it that it’s just a concept, for now, and the production version is expected to be heavily toned down when it arrives next year. Phew. “If Kia makes this, everyone else selling cars in the C-segment might as well give up now,” said one Twitter user about the Proceed shooting brake. We can’t disagree, really. 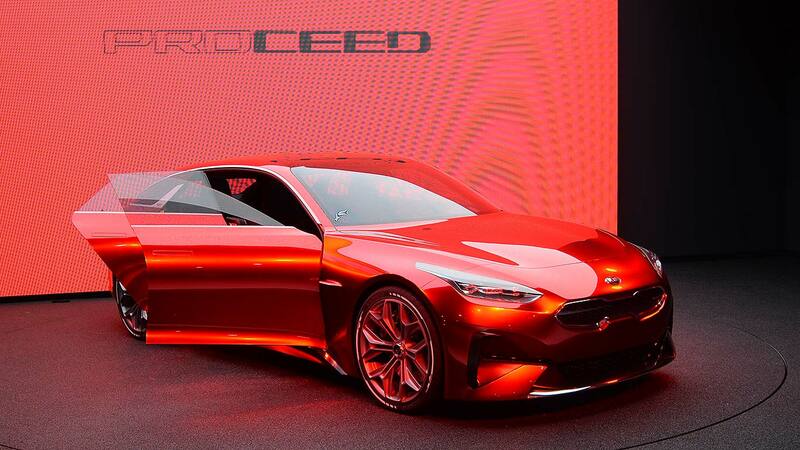 As attractive as the BMW X7 is ugly, the Proceed concept previews the next-generation Kia Cee’d. 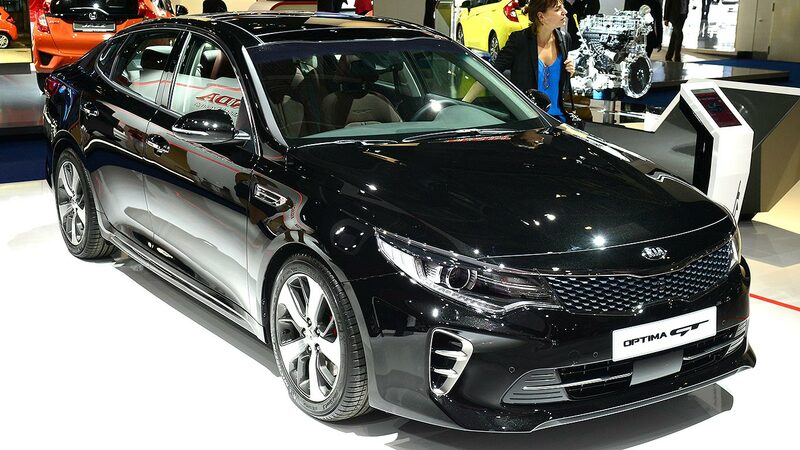 Although we call it a shooting brake, Kia calls it an ‘extended hatch’ and has hinted that it could preview a new bodystyle for the Cee’d when it arrives. Naturally, we doubt the 20-inch alloys or hand-finished ‘rippled black fabric’ interior will make it into production. If the car that arrives at dealers looks anything like the Proceed concept, though, it’s going to be the most attractive Ford Focus rival on the market. 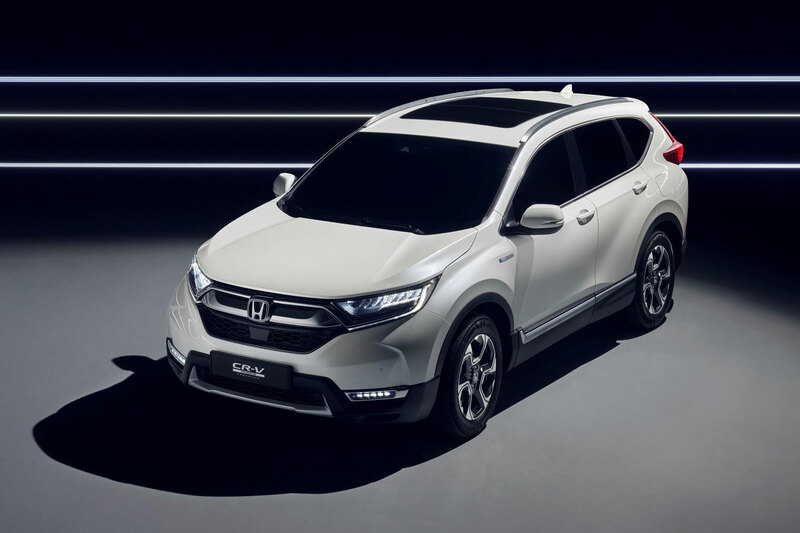 The new Honda CR-V offers a fresh face and a fresh outlook for the popular SUV, with the introduction of a new hybrid powertrain and a P45 for the diesel engine. Set to be unveiled at the Frankfurt Motor Show in ‘Hybrid Prototype’ guise, the new CR-V hybrid is powered by a conventional 2.0-litre i-VTEC petrol engine paired with two electric motors. It is the first time Honda has offered a hybrid SUV in Europe, with first deliveries expected in mid-2018. A CVT transmission sends power to the front wheels, with the CR-V offering three driving modes: EV, Hybrid and Engine. The system selects the best mode required to optimise efficiency, although Honda hasn’t released any performance or economy figures yet. The 1.6-litre diesel engine available in the current CR-V will be removed from the 2018 model, with Honda offering a 1.5-litre turbocharged petrol as the sole non-hybrid option. The revised styling brings the CR-V in line with Honda’s current range, with a look that’s not too dissimilar to the smaller HR-V and new Civic. It is wider, taller and longer than the outgoing model, although precise dimensions are unknown. By axing the diesel version, the Honda CR-V has come full circle, as the first-generation model of the late 90s was only availablewith a 2.0-litre petrol engine. The current fifth-generation CR-V was unveiled at the 2016 Detroit Motor Show and is already on sale in some global markets. Honda will release more details about the new European CR-V, including UK prices and specifications, when the production version is unveiled early next year. In the meantime, we will be at the Frankfurt Motor Show to check out the latest version of the world’s best-selling SUV. 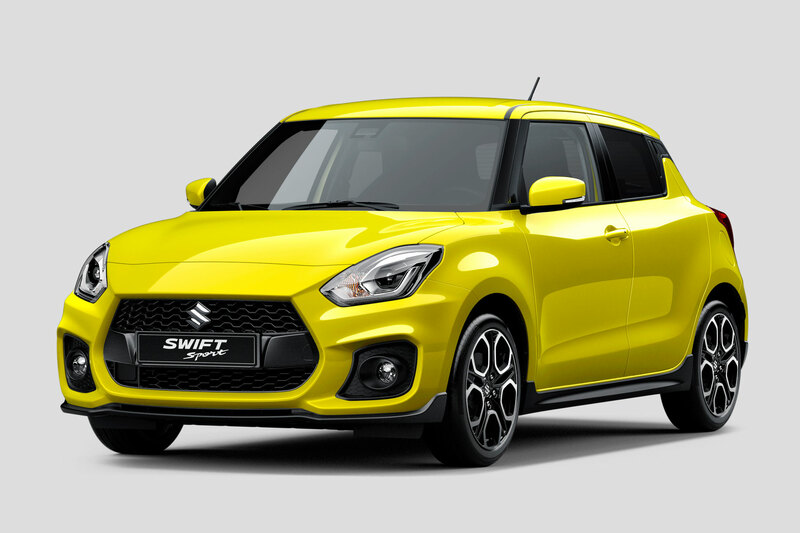 Good news for back-to-basics hot hatch fans on this dreary Monday morning: Suzuki is taking a bright yellow Swift Sport to Frankfurt. The firm has released this picture of its new Swift Sport and, well, not much else ahead of its reveal in September. But that’s enough to get us excited. “The ingredients are there for yet another terrific junior hot hatch,” we concluded when we drove a regular version of the new Swift earlier this year. The Swift Sport has always sat in a kind of niche of its own – sub-Fiesta ST, arguably as a rival to the likes of the Renault Twingo GT and Smart Brabus Forfour but so, so much better. It’ll also have a new rival in the form of the Volkswagen Up GTI when it goes on sale next year. Purists will be disappointed to read that the new Swift Sport is likely to go down the turbocharged route (strikes us as a good excuse to grab an ex-demo of the outgoing model while you still can), but the exact engine is yet to be confirmed. As the sporty(ish) Suzuki Vitara S is powered by a 1.4-litre four-cylinder Boosterjet engine producing 140hp, it’s fair to guess that this could be making its way into the Swift. While 140hp means the new Swift Sport won’t trouble the likes of the Ford Fiesta ST, it’ll be plenty of power for the Swift Sport’s traditional audience – especially considering the standard car’s low kerb weight. 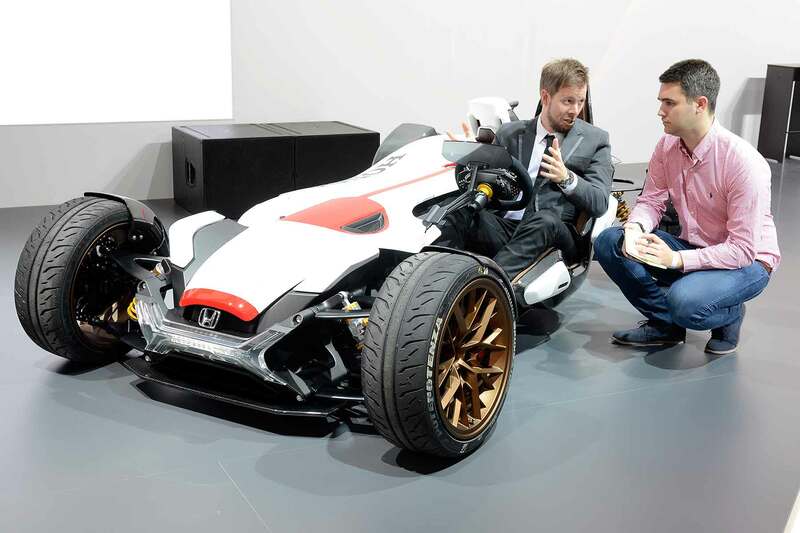 We didn’t just look at cars during our three days at the 2015 Frankfurt Motor Show. We spoke to people. We asked questions. We listened. And we mused… here are some of the things we learnt while out in Germany at Europe’s biggest (and most feet-punishing) motor show. With the Volkswagen Golf, you know the new one is going to look rather like the old one. Same with a Polo, same with a Passat. VW isn’t tied to evolutionary styling though: the Tiguan compact SUV was looking plain in a sector full of ever-bolder rivals – so the new one dials up the visual clout accordingly. We didn’t expect it to, but it really stands out and looks great. MINI’s bold and brash colourschemes have had their day. The brand’s going up and Frankfurt debuted its new style: serif fonts, ‘flat’ logo design and modern-look dealers with exposed brickwork and aged materials. Hipsters are going to love it. We sat in the new Alfa Giulia and we were impressed: it stood up to scrutiny and seems more than able to challenge the premium feel of the German brands. It’s another test passed for the make-or-break small saloon: do the BMW 3 Series and Jaguar XE have an Italian arch-rival lurking in the wings? Yawn, yawn, it’s the new Audi A4 and it looks just like the old one, yawn. Frankfurt woke us up though: in the metal, the new car does look fresh and crisp. Much more so than in the official images. Time for a new in-house snapper, Audi? Even before you’ve got into the new Infiniti Q30, you’re thinking ‘Mercedes-Benz A-Class’. The door handles are the same. The dials, the same. It has the same single column stalk, heater controls, electric window controls, steering wheel… this is all encouraging, but have we already learnt how the Q30 drives before we’ve even driven it? We’ve been fearing the production version of Bentley’s ugly EXP 9F ever since it was first shown back in 2012. Would it be horrible? Well, the production car’s here, and we learnt… it’s rather lovely, actually. Not everyone will adore it but, in the metal, it works, and the detailing is exquisite. Citroen’s DS brand going alone was a brave move, and one it seems even they’re not sure how successful it will be. Previously they’ve told us they had no idea how well it’d work in the UK, now here in Frankfurt they’re telling us they have no sales projections as they’re still establishing themselves as a brand. 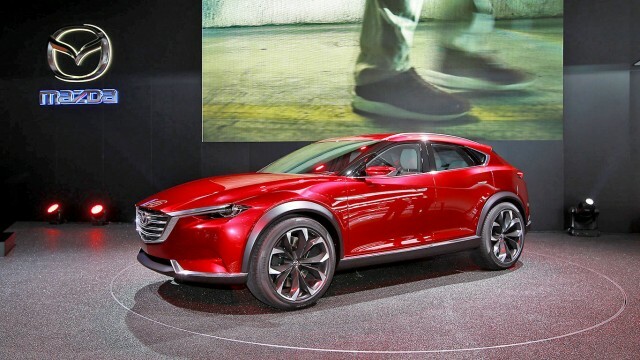 A car company always has sales projections… Why don’t they want to tell us? The Bentley Bentayga is getting an almost all-new version of the W12 engine, with TSI direct fuel injection and cylinder deactivation. Production is being centralised in Crewe and, with Bentley targeting overall sales volumes of 15,000 cars a year – many of which will be W12s – its title of being the world’s largest producer of 12-cylinder engines seems safe for a while yet. The Astra hasn’t been a car to get people excited for decades. The Mk2 Astra of the 1980s was the last novel and standout model, so not much was expected from this one. And that’s why many who’ve seen its stylish, confident lines and Germanic interior are so surprised by it. Some American visitors have even been suggesting a Buick version needs to be developed double-quick. Lesson? If you want to get on people’s radar and turn around your image, start by getting the product right. Lancia used to be quite a large brand. But it hasn’t been for years. Now it’s dying a slow, pitiful death which makes motor shows like this something of an embarrassment. The range is now down to a single car, the aged Ypsilon, and the fact there’s nothing new to show makes its far too large stand an irrelevance. We didn’t learn anything new from Lancia because there is nothing new. It’s sad, but it’s pointless. Bond drives an Aston Martin. They tried giving him a BMW for a bit, but that didn’t convince. For car makers keen to get in on the franchise, providing a car to Bond is a no-go. Bond baddies, though? Ah, now there’s an opportunity. And who’s the brand that thinks it’s good to be bad? Why, Jaguar. Cue a fleet of orange C-X75s for Bond’s nemesis Hinx to race in the upcoming film Spectre, and a few Land Rover Defenders and Range Rover Sports thrown in for good measure. Good to be bad indeed. Fiat-Chrysler boss Sergio Marchionne cancelled his visit to the Frankfurt Motor Show at the last minute, leaving journalists cued up to interview him twiddling their thumbs. The reason was important business with the unions in America. So we didn’t learn anything from him. Akrapovic is a Slovenian exhaust manufacturer famed for its motorcycle systems but more recently making waves in the car world. It had some of its high-end systems on display: they’re amazing pieces of sculpture. They look more than ever like musical instruments and it’s no wonder cars such as the Porsche 911 GT3 RS and Lamborghini Huracan sound so good. The Prius has played the role of pantomime villain at the Frankfurt show, with its bold styling making it a soft-touch in a world that champions the fast and the glamorous. But actually, if you stand and look at the Prius, the design pulls together. And face it, the Prius is styled like that for a reason. In a bold prediction, we reckon the Prius will win over most of its detractors. How refreshing to see a brand so confident in its own skin. Modern Citroen seems to have a clear sense of direction and a knowledge of its position in the world. 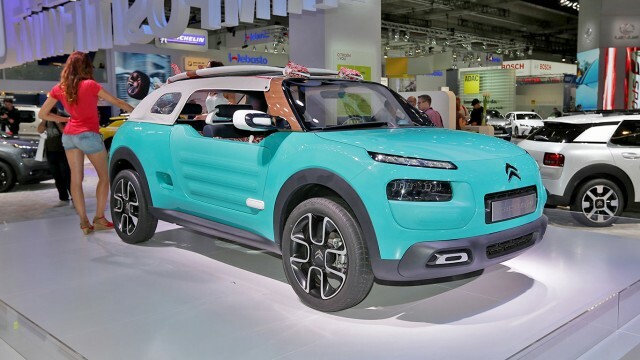 The C4 Cactus is a perfect demonstration and the brand could easily build its operations around this wonderful model. Right now, Citroen has the upperhand over DS. One day, we’ll attend a motor show without a Suzuki Jimny. With the Land Rover bowing out in 2015, the Jimny is one of the last remaining vehicles of the old guard, a friendly and familiar face in shows filled with wild and outlandish concepts. It may be dated, but it still has a place in the world. And Suzuki will find it very hard to replace it. Manufacturers didn’t disappoint with some of the weird and wacky concepts on display at this year’s Frankfurt Motor Show. 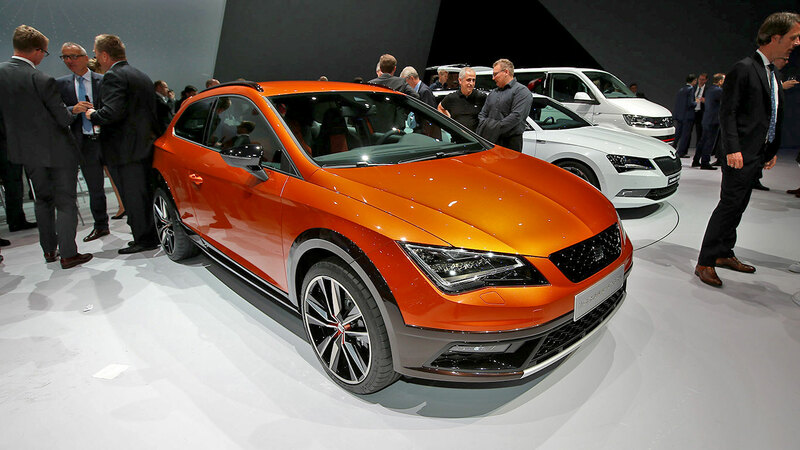 This is what happens when SEAT’s Leon X-Perience off-roader and Cupra 290 hot hatch have babies. It’s a jacked up three-door hatch with 300hp. Ace. It boasts an extra 41mm of ground clearance over the regular Leon SC, while it hits 62mph in 4.9 seconds. That’s as fast as the Volkswagen Golf R.
Does the world need another BMW X6 or Mercedes-Benz GLE? We hope Audi decides not, despite this concept, revealed at Frankfurt. 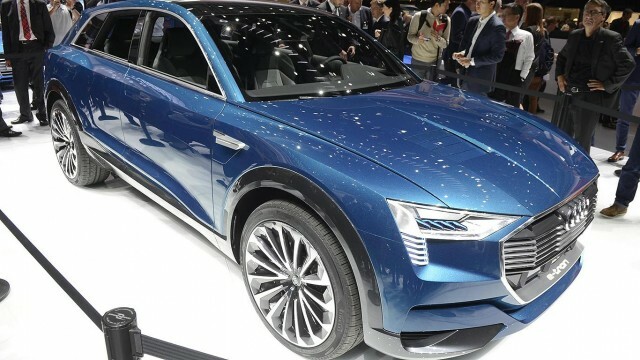 A production Audi Q6 is expected to arrive in 2016. It’s likely to feature a range of petrol and diesel engines, although this concept features three electric motors. Designed exclusively for Gran Turismo 6 on the Playstation, the Vision GT is inspired by the Type 57 Bugatti that won the Le Mans 24 hours in 1937 and 1939. Apparently it’s good for a virtual 250mph. Production of the Defender as we know it might be coming to an end later this year, but if you can’t afford one of the final editions, how about this? 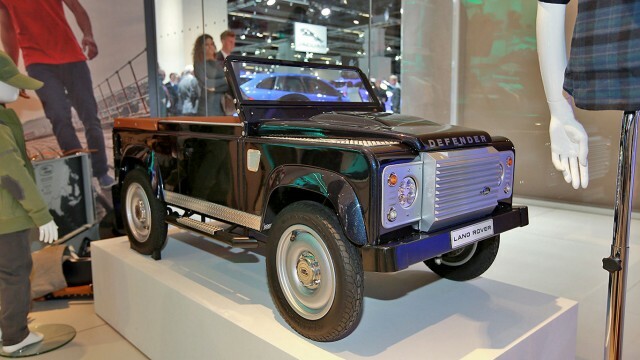 It’s a Defender pedal car, set to be revealed in production form next year. Complete with an individual chassis number, production versions of the Defender pedal car are expected to cost around £10,000. 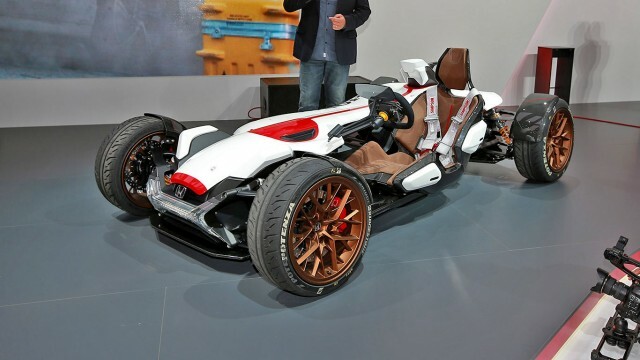 Honda’s car and bike development teams got together and designed this – a weird, half bike/half car. Powered by a 999cc V4 engine and weighing just 405kg, the 2&4 is said to be the ideal compromise between car and bike. First shown at Shanghai, the Aircross previews a forthcoming Citroen SUV set to rival the Nissan X-Trail. 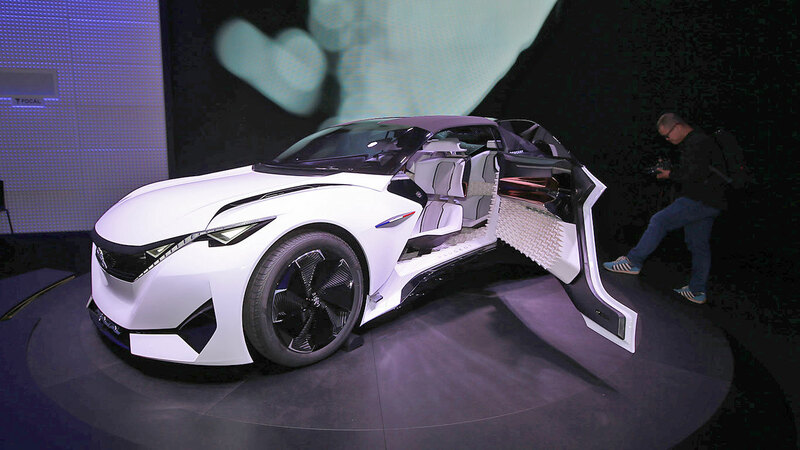 The concept features a hybrid powertrain consisting of a 221hp 1.6-litre turbocharged engine and a 96hp electric motor. 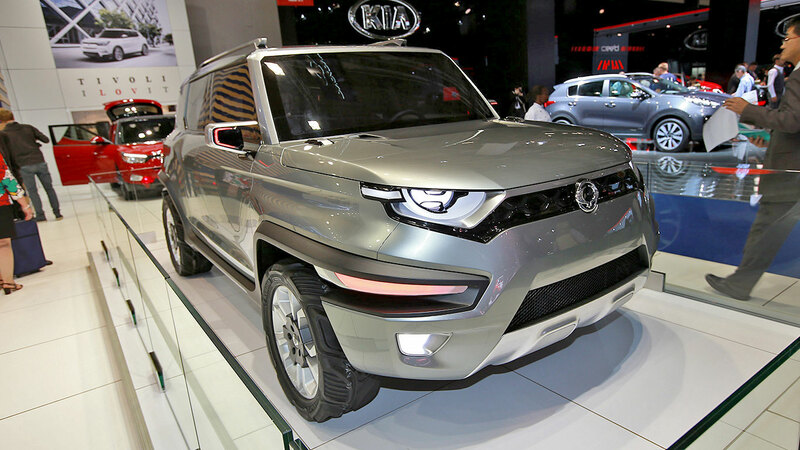 This isn’t really a concept car – it’s pretty much production ready, but Kia’s describing it as a prototype. Performance figures are to be confirmed, but the 2.0-litre four-cylinder turbocharged engine will produce around 240hp. That’s going to make it fairly quick. Mazda insists the Koeru is just a concept, for now, but it looks remarkably production ready to us. Similar to the CX-5 crossover, it features a coupe roofline. Likely to be sportier than the CX-5, the Koeru features 21-inch alloys and could be launched as the CX-4. This curvy four-door coupe boasts an impressive drag co-efficient of just Cd 0.19 thanks to clever active aerodynamics which effectively change the car’s shape when driving at high speeds. Powered by a plug-in hybrid system producing a total of 279hp, the IAA is good for an electronically-limited top speed of 155mph. Peugeot has form for interesting concepts, so it’s no surprise to see this quirky ‘urban coupe’ appearing on its Frankfurt stand. The Fractal previews the next generation of Peugeot’s i-Cockpit, as seen on the 308. It features a small steering wheel with touchpads that can be used to control most infotainment functions, as well as a 7.7-inch head-up display. 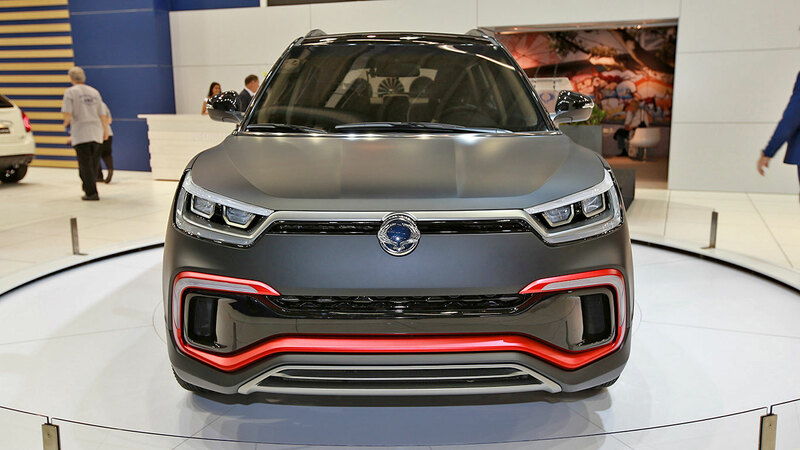 The first of two concepts on Ssangyong’s stand at Frankfurt, the XLV-Air hints at a long-wheelbase Tivoli. Ssangyong hasn’t said whether the rugged-looking crossover will be sold in the UK, but it looks practically production-ready and could offer excellent value for money. Although Ssangyong has traditionally sold tough off-roaders, the Tivoli marks a change in direction towards the lifestyle crossover market. The XAV-Adventure continues that, ‘designed to meet the needs of the more active young generation’. 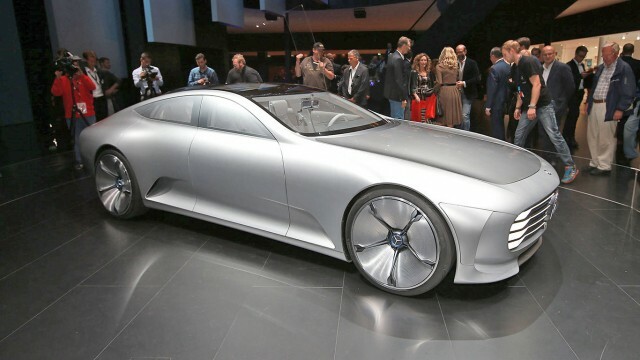 This has to be one of the most exciting concepts – and biggest surprises – to appear at Frankfurt. 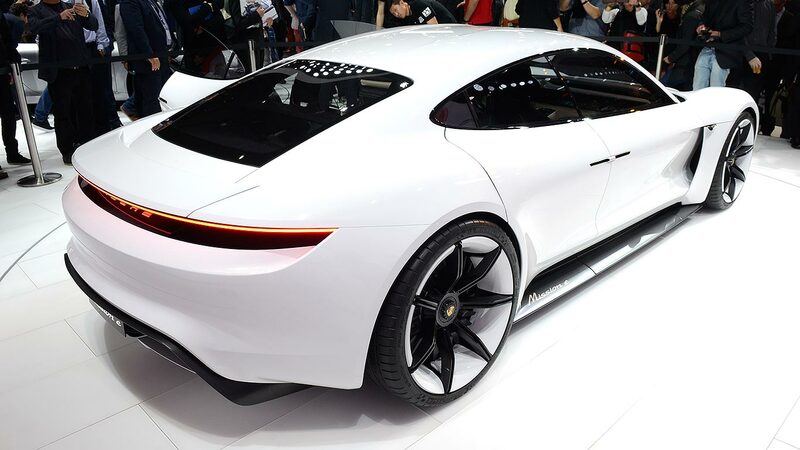 It’s Porsche’s answer to the Tesla Model S – an all-electric, four-wheel-drive, four-seat sports car. With two electric motors producing 600hp, the Mission E will reach 62mph in less than 3.5 seconds. It also boasts a range of 312 miles. The crossover trend is showing no signs of declining, so here’s Toyota’s answer to the Nissan Juke. 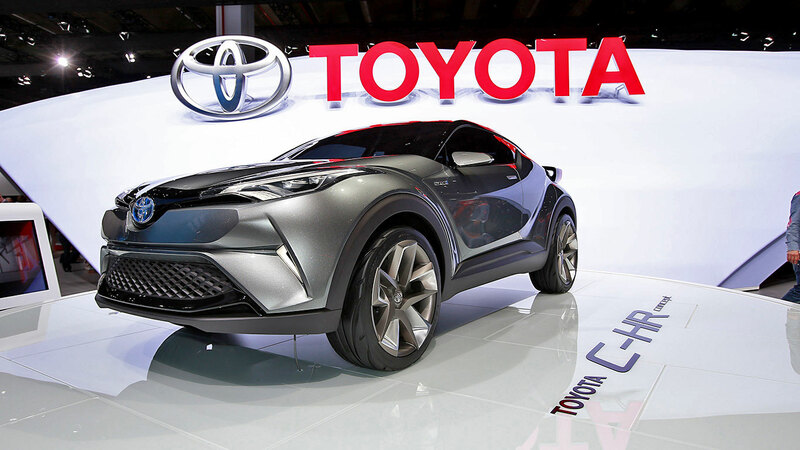 Set to appear in production form at next year’s Geneva Motor Show, we saw the first incarnation of the C-HR at Paris last year. This funky thing is what happens when Citroen takes its brilliant C4 Cactus and has even more fun with it. The M concept in a modern day Citroen Mehari – with a roof that converts into a tent. The Cactus M’s interior is completely waterproof, meaning you can hose it down after a day on the beach. 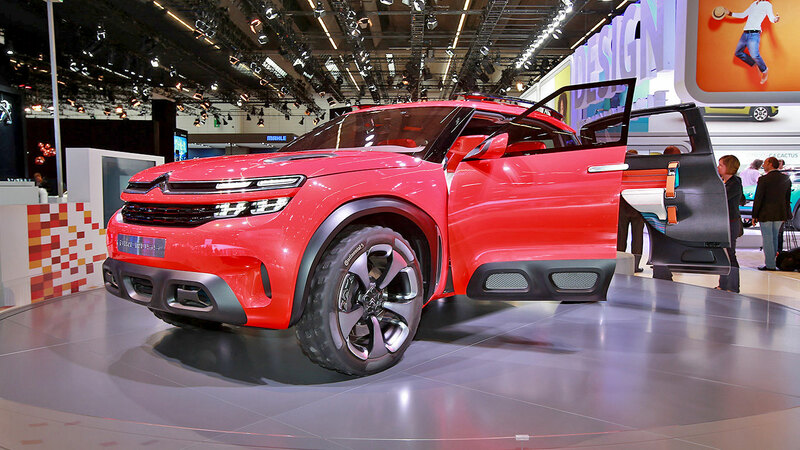 It’s fresh to see a concept that isn’t about clever technology or high performance – and for that, we applaud Citroen. One of a number of coupe crossovers at Frankfurt this year, the Gripz is a controversial preview of the future of Nissan Z-cars. At 4100mm, the Gripz is slightly shorter than the Juke. 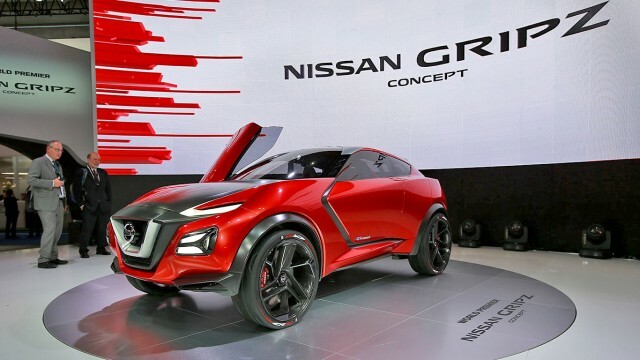 Nissan says it doesn’t preview a forthcoming model, more a design ideology. DS Automobile’s marketing chief has told Motoring Research that it has no sales projections as a brand. Interviewed at the 2015 Frankfurt Motor Show, VP global sales and marketing Arnaud Ribault told us that DS is concentrating on selling itself a premium player rather than outright sales. DS officially separated itself as a brand from Citroen earlier this year at the Geneva Motor Show. But rather than being a French equivalent to the premium German manufacturers, Ribault insists it’s doing things differently. In pride of place on the DS stand at Frankfurt is the facelifted DS4 along with a DS4 Crossback. The latter is very similar on the model on which it’s based, but with added ground clearance hinting at crossover aspirations. But Ribault told us it definitely isn’t taking on the Nissan Qashqai. 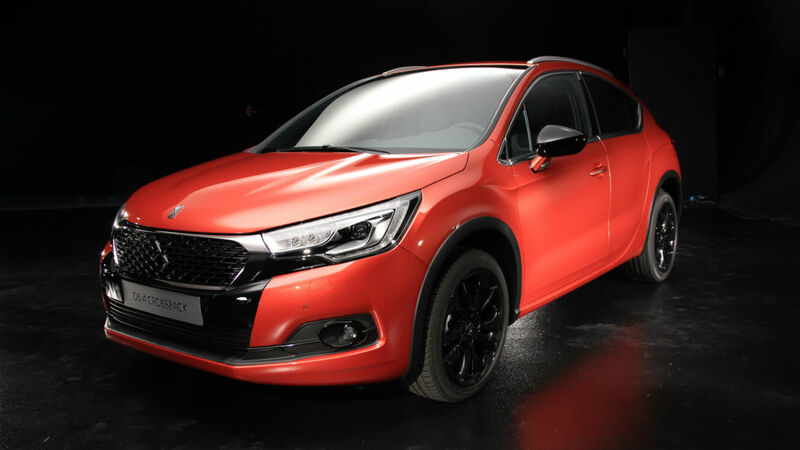 He said: “The DS 4 Crossback is its own thing, it doesn’t have any clear rivals. If we had to pick a car, however, it would probably be the Volvo V40 Cross Country. DS says it plans to be fully established as a brand of its own within 15 years, with six new models due by 2020. When asked whether the DS4 Crossback previews future crossover and SUV models, Ribault hinted “that would be a wise observation”. Previously, VP products and business development for DS, Eric Apode, told us sales of the DS4 have been disappointing in the UK, and suggested an SUV could be a good move for the brand. Jaguar F-Pace programme director Andy Whyman believes the new SUV will be as transformational for the firm as the Range Rover Evoque has been for Land Rover. The Evoque heralded the start of the current boom in Land Rover sales and even today, five years after launch, the factory is still operating around the clock to build more than 100,000 units a year. Jaguar, which last year sold 81,570 cars, feels the F-Pace will deliver a proportionally similar lift – and will mean the entire brand should no longer outsold by the smash-hit Range Rover Evoque. Whyman says there was never any concern that the first-ever Jaguar SUV would step on the toes of Land Rover. “Both brands are very different and are positioned separately: our research shows there’s likely to be little cross-shopping between the F-Pace and Land Rover models. “It’s first and foremost a Jaguar: it handles like a Jaguar, has sports car proportions and, while it can tackle mixed-road conditions, is a road-biased vehicle. Frankfurt Motor Show 2015 – Live! https://www.motoringresearch.com/wp-content/uploads/2015/09/01_Jaguar_F-Pace_Frankfurt_Motor_Show_2015-1.jpg 768 1366 https://www.motoringresearch.com/wp-content/uploads/2018/12/mr-top-motoring.svg 2015-09-15 04:39:132015-09-15 04:39:13Frankfurt Motor Show 2015 – Live! With the launch of the F-Pace SUV, Jaguar has “finally ditched its slippers and pipe image,” says the firm’s brand director Steven de Ploey. While the firm is proud of its heritage, and will continue to draw upon it, the brand’s future is in attracting more younger, female and connected customers – and the F-Pace is a key part of that strategy. 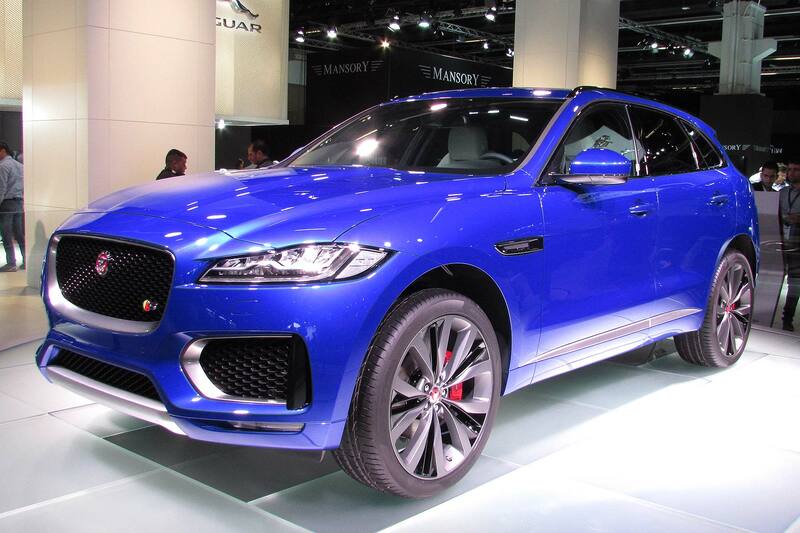 9 in 10 buyers of Jaguar’s first-ever crossover SUV are going to be new to the brand, said de Ploey, and it’s going to draw customers from buyers of rivals including the Porsche Macan, Audi Q5 and BMW X3. “The F-Pace is THE champion for the Jaguar brand with conquest customers,” he said: it is this car that the firm hopes will reinvigorate the Jaguar brand with people who previously have not even considered it. 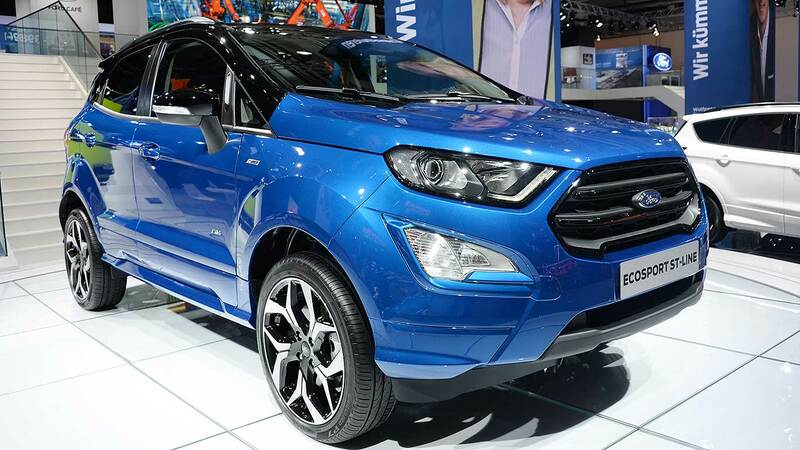 A lot is riding on it: the medium SUV sector will grow from 850,000 sales in 2014/15 to over 1.2 million by 2020/21 – that’s 40% growth. “This will take Jaguar’s accessible market from three million potential customers to four million” – a huge increase that shows that, of all the new cars Jaguar is launching at the moment, the F-Pace is the most important. 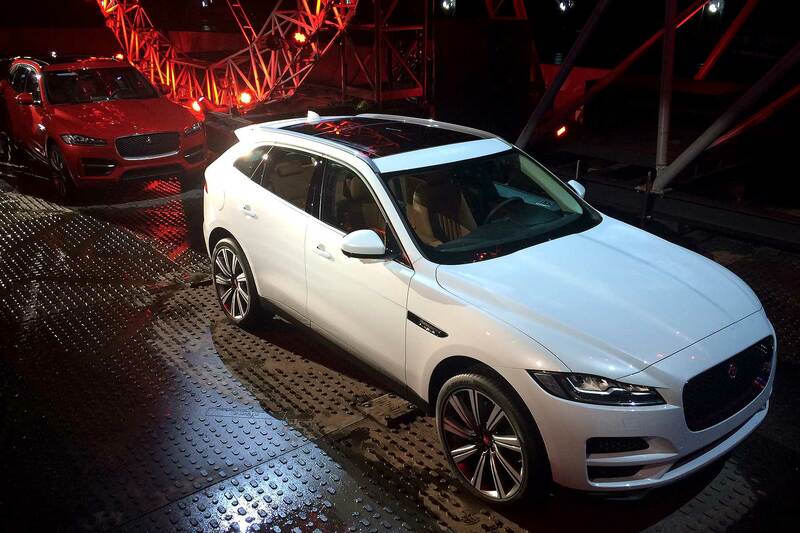 Jaguar makes no secret of its desire to challenge the Porsche Macan. Jaguar engineers believe the Porsche is easily the best vehicle in the sector to drive, and admire its engineering – but believe they have a car its equal in the F-Pace. Key engineering details have been compared with the Porsche: the F-Pace S is as fast as a Macan S to 60mph; front lateral suspension stiffness is 50% better than the Porsche; it’s also 35% more compliant over bumps than the Porsche. 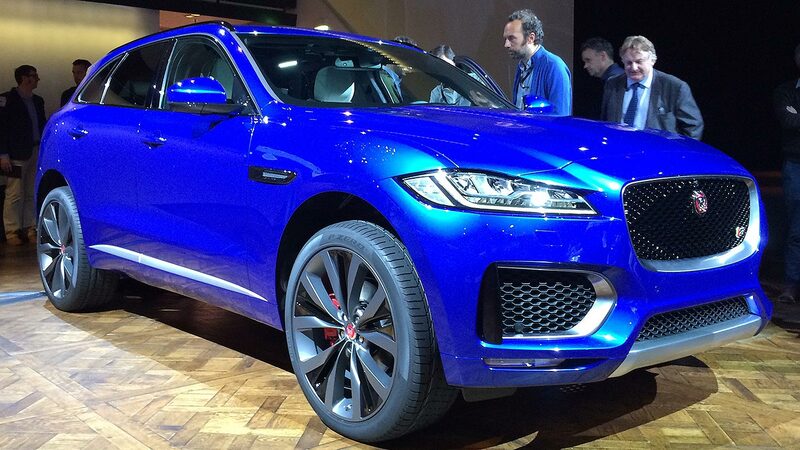 Practicality of the five-seater F-Pace hasn’t been overlooked. With boot space the equal of a BMW X5 and 220 litres better than Bentley’s new Bentayga SUV, Jaguar reckons the F-Pace has all the fundamentals in place to succeed. 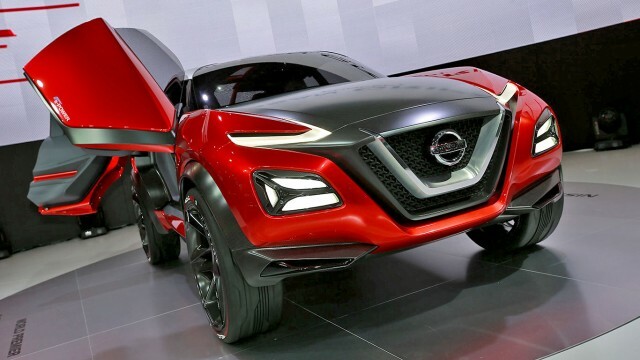 “It is a no compromise performance crossover,” said de Ploey, “or, as we prefer, the ultimate crossover sportscar.